You may have seen dramatic changes in someone’s dressing, or observed an aggressiveness in their tone and views that didn’t seem to be there before. Or perhaps, you knew they were facing difficult circumstances, feeling hopeless and even removing themselves from their social circles. 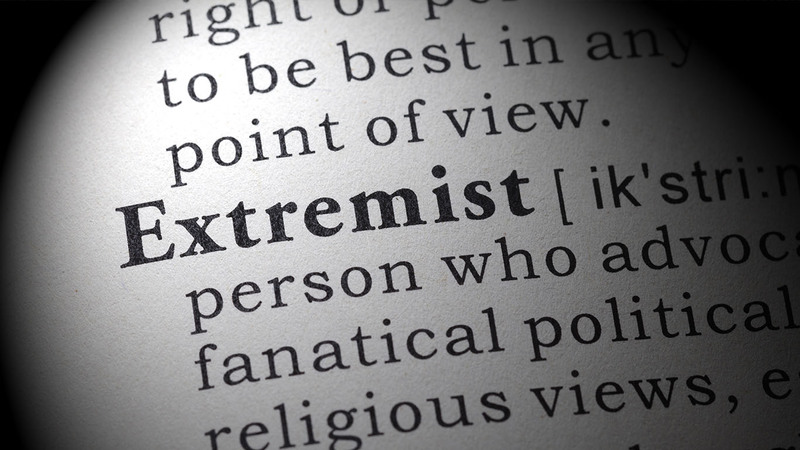 While these may be some warning signs that a person may have become susceptible to radicalism, spotting them and raising the alarm are not always easy to do. In 2013, 18-year-old Syaikhah Izzah Zahrah Al Ansari began following the Islamic State after viewing their propaganda materials online. Just one year later, she was sporting black clothing and donning the niqab, a facial veil that reveals only the eyes. As she fell deeper into extremist ideology, Izzah began spreading their messages on her social media platforms, and even used a picture of the ISIS flag as her profile photo on Whatsapp. Her parents, both Quranic teachers, confronted her but let the matter rest when she stopped wearing the niqab and started listening to music again. Unknown to them, Izzah had only become more radicalised and made plans to move to Syria with her young child, where she hoped to marry a militant and even serve in combat. Before she could put her plans into action, however, she was arrested in Singapore last month, becoming the first Singaporean woman to be charged for radicalisation. Born and raised here, Izzah was a childcare assistant at the time of her arrest. Along with the arrests made on two Singaporean auxiliary policemen just a week later, these cases of radicalisation here sent shockwaves across Singapore, where we have long felt insulated from the scourge of terror taking place in other parts of the world. Suddenly, extremism and terrorism seemed a lot closer to home. Many wondered — why would Singaporeans, living in the relative safety and harmony of Singapore, aspire to join a war happening on the other side of the world? And, if the problem of radicalisation is indeed real, how can we stop it from taking root? With a closely knit network of Islamic experts and religious leaders under the watch of the Islamic Religious Council of Singapore (MUIS), extremist ideology has been stringently guarded against on the ground. By and large, Ustaz Tarmizi believes the majority of local Muslims fall under three broad categories – those who are well-versed in Islam, those who are less in tune with the religion but are nonetheless well-educated and worldly aware, and others who are casual believers in the faith. By his measure, all three groups are unlikely to fall prey to radicalism, but the same cannot be said for a smaller group of individuals who could be facing difficult circumstances that make the false promises of extremist ideology appear attractive. Many are drawn to the idea of “a quick fix” for their problems and that makes it easier for them to be misled. Extremist groups like ISIS are notorious for misrepresenting their cause as a legitimate form of jihad, or the practice of becoming a better Muslim, by claiming that their fighters are guaranteed access to paradise when they die in combat. A misguided understanding of Islam aside, extremists also sow seeds of guilt in their targets by framing their fight as standing up for fellow Muslims who have been persecuted in various conflicts around the world. On record, ISIS has killed more Muslims than non-Muslims, countered Ustaz Tarmizi. Ustaz Tarmizi observed that it’s very hard to pinpoint and say that a particular Muslim is likely to be influenced or radicalised. But in his experience, there are certain profiles that will set his alarm bells ringing, and he always makes it a point to speak to them to understand their motivations better. If someone is becoming influenced by radical teachings, some changes in behaviour could be telltale signs. Or, they may have started becoming more hardline and aggressive in their views. To identify those with radical leanings and seek help for them, friends and family must learn to spot these warning signs and take action if necessary. If someone is believed to have become radicalised or has radical leanings, Ustaz Tarmizi encourages those in the know to call a mosque, where an imam would be able to step in. Or, if the threat is believed to be serious or imminent, the police or the Religious Rehabilitation Group (RRG) should be alerted. Although terrorism today is largely committed by a few black sheep misrepresenting Islam, the issue has often been framed as a problem that needs to be solved by the Muslim community, even if they themselves are also victims. For Muslims, having a solid foundation for their faith is the first step. Describing Islam as dynamic, Ustaz Tarmizi encouraged Muslims to study different sources so that they have a deeper and richer understanding of its teachings. In addition to diverse programmes being run by mosques and other Islamic entities here, many groups are also starting to put their materials on social media, in a bid to counter the radical ideology being spread online and offer a positive alternative. So, when faced with the curiosity of non-Muslims about Islam, Ustaz Tarmizi believes that Muslims should be more open to addressing these questions to help quash misconceptions that breed Islamophobia. At the same time, that’s not to say that non-Muslims have no part to play in the equation. Sharing anecdotes of Muslims who found it difficult to answer accusatory questions that drive them into a corner, he felt that non-Muslims need to ask questions tactfully in order for the conversation to be a meaningful one. 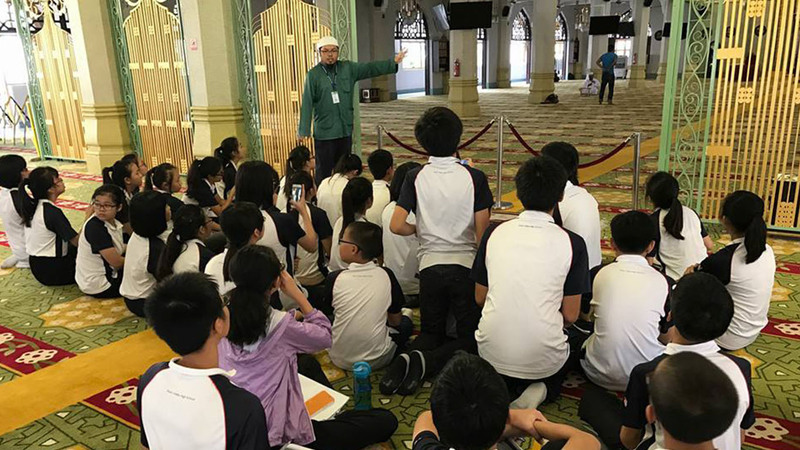 At Safinah Institute, Ustaz Tarmizi’s team builds the bridges of understanding for youths by bringing non-Muslim students from mainstream schools on learning journeys to madrasahs and mosques where they get to interact with their Muslim counterparts. In a similar vein, the first steps towards preventing both radicalisation and Islamophobia may come from a place of friendship, where understanding and empathy are bred.